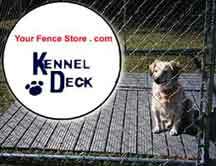 The Kennel Deck is the perfect solution to providing a sanitary, yet comfortable surface for dogs in cages, runs, etc. Molded from high-density plastic resins, its unique construction allows for easy drainage and air circulation while maintaining a flat, nonskid surface for comfort. The Kennel Deck is the excellent choice for raising your dog above less-desirable floorings such as dirt or concrete, which can contribute to disease or bone problems. Each kennel deck includes with 15 rubber feet for use on flat surfaces and 2 clips to connect one deck to another. The decks measure 2 feet wide by 4 long by 2 inches thick. The decks cut easily with a saw for a custom fit. Each section weighs approximately 8.5 lbs. Each section will support 1,000 lbs. 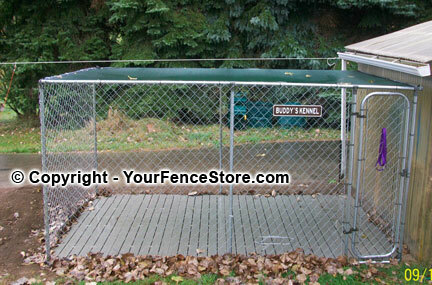 Most customers order 4 to 8 kennel decks to fit a portion of their dog kennel. However, if you want to completely cover your kennel with the kennel decking here is a guide on how many you will need to order. You may have to cut some decks depending on the size of the kennel. Customers Question: Can Kennel Decks be connected in any pattern? Like can a vertical placed deck be connected to a horizontal placed deck? No, but if the decks are in a stable environment and there is no movement, you can attached them from underneath by drilling a hole in the legs and use a nut and bolt to hold them together. Dog kennel shown with 12 Kennel Decks and a shade cover. I ordered 11 kennel deck sections from you late on a Saturday night. Imagine my surprise when they showed up the following Tuesday! It turns out that we did not live far from the warehouse and the sections got here just in time to be installed that night before new carpeting went into our family room the next day. Since our dog run opens off of the family room and the spring thaw had the area quite muddy, we were greatly relieved to see those boxes. The kennel deck has done a great job of keeping our girls (dogs) out of the mud which is keeping our new carpet clean and tidy. 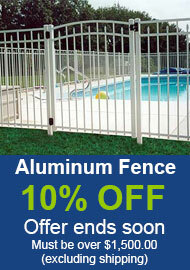 We are very happy with both the excellent product and the timely service. Received the Kennel Decks today. Wow that was fast! Ordered on Wednesday afternoon, received by Monday morning, 3 business days. Very happy with the product. My wife will appreciate the dogs bringing less dust into the house. Thanks. I have tried several things to make a kennel floor. This was a little expensive but did the trick. I'm glad I bought these. They should last for yeas.